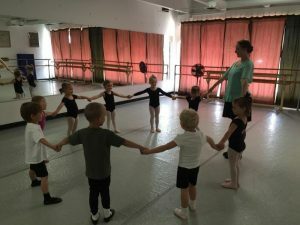 In the LDT Academy Children’s Division program, children as young as 2 years of age can begin to experience the joy and physical benefits of a children’s dance class. Imagination and storytelling through dance are emphasized using guided, creative, age-appropriate activities. Activities to develop coordination, body awareness, and ballet and tap disciplines are part of each class. The Children’s Division students have the opportunity to perform in two recital performances each year: The Holiday Recital for students registered in quarter two and the Annual Recital for students registered in quarter four. We also offer Little Birds music and movement classes for younger children. For more information about Little Birds, check out the Dalcroze information in the A La Carte and Add-on section of our website. Additional classes are offered through the Longmont Recreation Center.